Turkey Run Farm is located just outside Eminence, Kentucky, somewhere between Louisville, KY and Cincinnati, OH. We raise a handful of grass-fed mostly Katahdin hair sheep that are supervised and handled by our working Australian shepherds, specially on days when our flock is allowed to graze all over our property. "Happy lambs make the best lamb chops and Happy Aussies make the best shepherds". You can also find on our farm a few lovely Pekin ducks and occasionally, some beef calves. In 2014 our farm was accepted to become a member of a huge "KENTUCKY PROUD" Bluegrass family. Australian shepherds have been a huge part of our farm and family life for over 10 years and we don't know how we could function without them. We have been so blessed to have some of the best working companions a breed can produce. All of our Aussies are raised and spend most of their time outside. They make invaluable livestock guardians and keep all unwanted visitors off our farm. If there is no sheep work for our Aussies, we give them plenty other jobs all year round, like to chase geese off the pond, find my lost gloves in the field, take ducks for a walk, drive neighbor's cows back home of they happen to visit our farm or simply play Frisbee till they drop dead. Our Aussies have been trained in Obedience, Agility, Herding and Tracking and we enjoy competing with them mostly at friendly ASCA trials. We have made it to ASCA Nationals several times and hope to attend many more Nationals in future. We train and compete with our talented Aussies ourselves. I find myself to be pretty experienced handler and if needed I would help train other people dogs also. Now and then we would have a litter of pups, but no more 1 - 2 litters a year. We all enjoy raising pups, specially our kids. We try to place our pups in working or performance homes and with people who are well educated about this breed. We strongly believe breeding Australian Shepherds that are versatile is a key to our success. Our Aussies and their pups are well known for their calm working ability, athleticism and outstanding temperament. 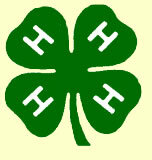 I have been Henry County 4H Volunteer since 2010, I am the dog club leader and I find it such a pleasure to work with dedicated young kids and their dogs. Our love for animals is reflected in our "Fiber Art". Me and my kids enjoy working with good quality wool and spend many hours creating needle felted K9s of different sizes and colors, specially Aussies and Border collies. This kind of work is very challenging as you need to have a good mental picture and preferably live model if you want your work to look "real" and "alive". We have had so many compliments about the quality of our Fiber dogs. Please, visit our "Fiber Art" page and see for yourself. Our farm is a very friendly and peaceful place and we enjoy having visitors any time and any day. So please, stop by and say "Hello" or "Ahoj" next time you are in our neck of the woods. Come in, you don't even have to knock on the door, but we will ask you to take your shoes off.